That’s me to the right and size 16. 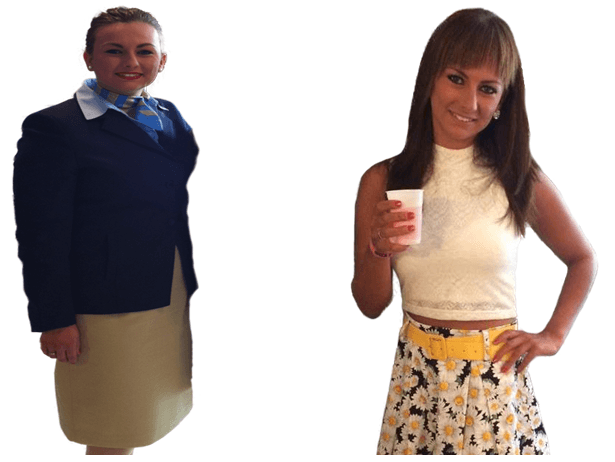 My wardrobe slowly changed and before I knew it I had gone from a 54kg active out going size 10 to an 80kg size 16. I had no motivation for anything. Something had to change. I knew it and my family knew it. The Program Was Super Easy to Follow! The menus were planned, the recipe’s were there, all I had to do was prepare and cook. I didn’t want a quick fix, neither did I want to torture my body with partial starvation. I wanted a change of life style and a new take on food. I wanted my body cleansed and renewed from the inside out. I never felt like I needed or wanted more than what was on the menu. It was perfect not having to think about what to make, all the menus were pre-planned for me along with all the recipe’s and I was even given cooking tips! I began enjoying being adventurous in the kitchen, opening my taste buds to new flavors and textures, and to trying things I’d never even heard of before (most of which I now love!). My work at the time was on a shift pattern and even with strange hours it was perfectly easy to incorporate this program with my life style. Years on, I have continued with and incorporated Trisha’s 30 day program in to my every day life and as a result I have a new enjoyment of food and a new found love of cooking. I love being creative in the kitchen. I actually rarely eat out as I much prefer my own cooking now and I can not even remember the last time I ordered a take out. I am not a vegan or vegetarian although I do much prefer a vegetarian diet most of the time now and I’m sure that it’s better for my health. I do eat meat sometimes (often more for every one else’s benefit than mine) but Trisha’s program has helped me to understand, enjoy and learn about food. Trisha was there for help and support every step of the way and I can’t thank her enough for that! She really helped me change my life. The menus were planned, the recipe’s were there, all I had to do was prepare and cook. I wasn’t looking for a quick fix, neither did I want to torture my body with partial starvation. I wanted a change of life style a new take on food and to feel happy. 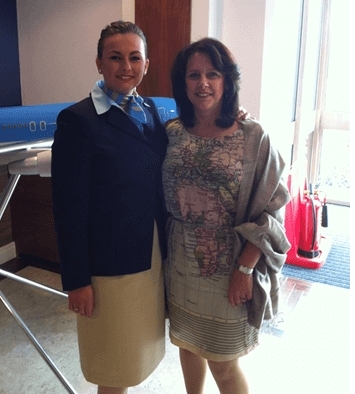 So that’s me and mum shortly after I joined the airline and together in March 2016.